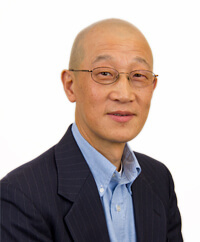 David Yeh is the director of information technology at Applied Marketing Science (AMS). David manages all technical aspects of the company, including design, deployment, maintenance and operation of network infrastructure, telecommunication systems, and security and backup systems. As a webmaster, David has provided technical support to the company’s external website since it began operating in 1995. David also designed and developed the AMS intranet, a hub of knowledge sharing, a source of important information and a central location for mission critical tools and applications. As a programmer, David has also designed and developed a plethora of software tools and web applications that facilitate the company’s operation. In 1994, shortly after joining AMS, one of his applications was a finalist for New Media Magazine’s Multimedia Award. Over the past 10 years, David has programmed more than 400 online web surveys. David loves sports, and he is a die-hard fan of the Boston Celtics and the New England Patriots. As a former gymnast, David was the captain of men’s gymnastics team at Fudan University. During his captaincy, the team won championships for four consecutive years. Prior to his IT career, David also taught and coached gymnastics in Philadelphia and Lowell, Massachusetts. David holds an M.A. in American cultural history from Temple University and B.A. in British and American language and literature from Fudan University, Shanghai, China.